This the first in a series, with a focus on the tactics of Eva Moskowitz and her Harlem Success Academy machine. 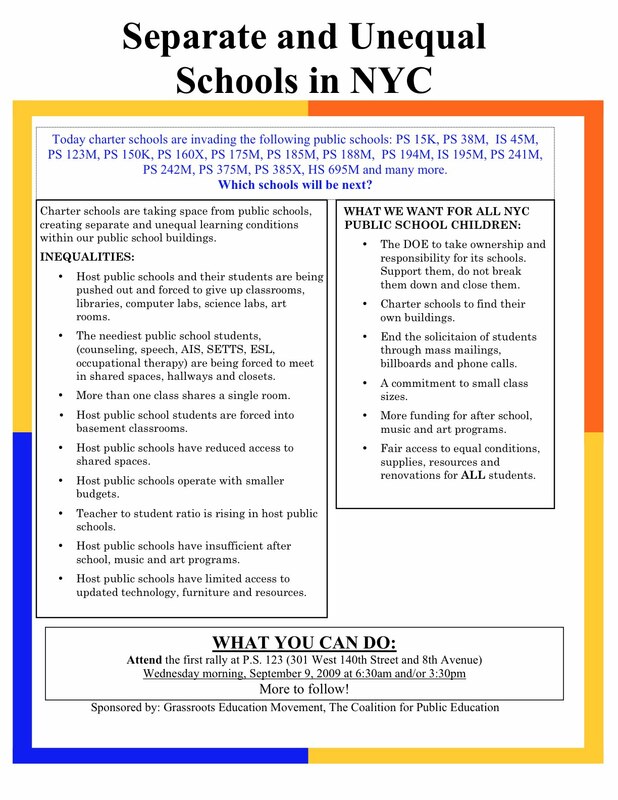 Eva Moskowitz and Her Charter School Must Go! For more information please contact William Hargraves (718) 812-1102. Click to enlarge. Pdf available on request. Support on the struggle being waged by students, parents, staff, administrators and community of P.S. 123 in Harlem. they have been fighting theft of space and many other injustices perpetrated by Eva Moskowitz and the Bloom/Klein dictatorship. The P.S. 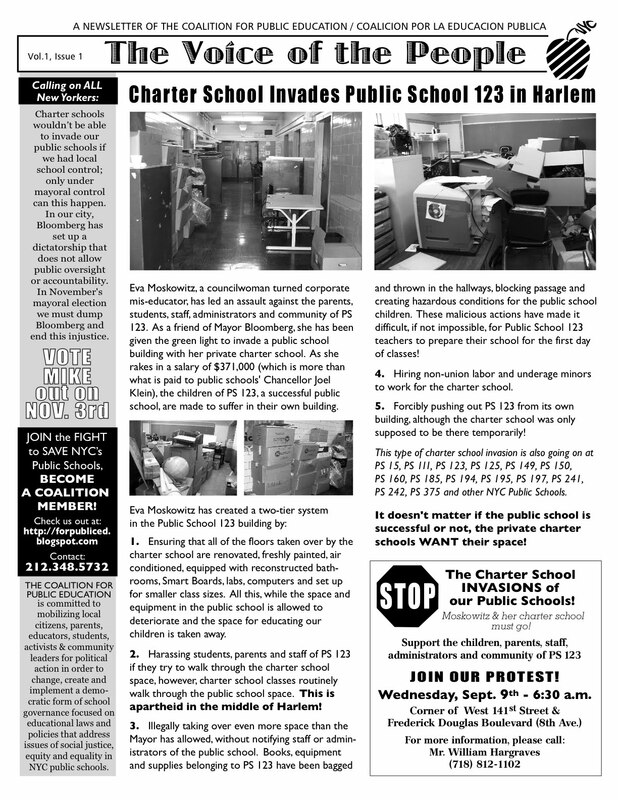 123 community has worked hard, for over a year, to reach out and resolve problems forced upon them by the charter school invasion of their building. However, Eva Moskowitz and the Bloom/Klein dictatorship have not resolved any problems and are only concerned about pushing more and more private charter schools into public school buildings. P.S. 123 is now ready to stand up for all public schools in our city and they need our help. Please support P.S. 123 and defend our public school system.